Cole Seely rode his Wiseco-sponsored No. 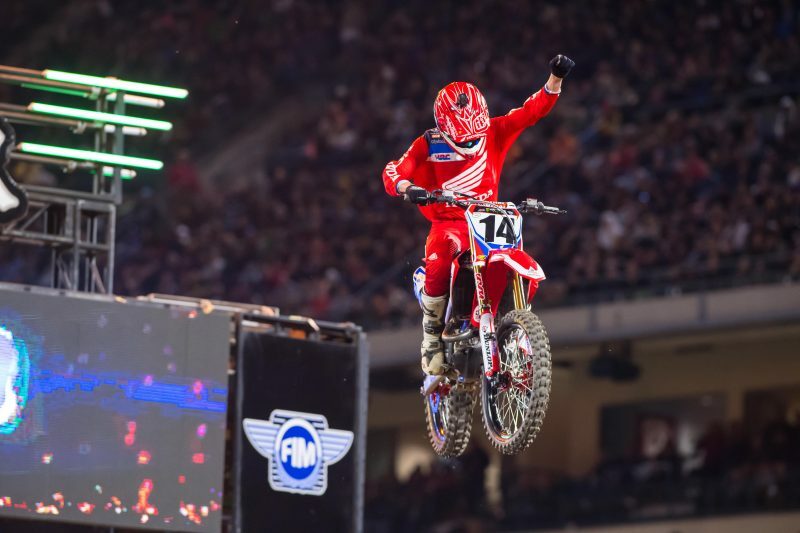 14 Honda CRF 450R to a spirited second-place overall finish in Saturday night’s Monster Energy AMA Supercross, an FIM World Championship, in the series second and final visit of 2018 to Angel Stadium. The sturdy effort powered Seely up two spots, from fourth to second, in the premiere 450 Class Championship standings, with three of 17 races in the books. The top-two effort also marked the California rider’s first podium of season as the series rolled out its new triple crown format - a three-race showdown (Anaheim, Atlanta, Minneapolis) where both the 450 and 250SX Classes compete in three main events. Each triple crown event features Olympic-style scoring, where the rider with the lowest point tally at the end of the night collects the overall win. Seely led the first 450SX Class main event from flag-to-flag, and took the checkered by nearly five seconds over fellow Honda rider Justin Brayton. The 27-year-old finished second in the second main event, and seventh in the third, to score a sturdy 1-2-7 effort on the night. Cole Seely put in 3 solid main events in the Triple Crown format, and earned a 2nd overall, despite the difficulties of a bad start in the third race. We grabbed a quick word from Erik Kehoe, Team Manager of Honda HRC, to get his thoughts on the first Triple Crown round of Supercross. One of the main storylines of the night was Seely’s HRC teammate Ken Roczen’s return to the same venue where he suffered a catastrophic, season-ending injury last January. Admittedly, the two-time Lucas Oil Pro Motocross Champion wasn’t quite himself Saturday night, but he still managed to scratch out a respectable 11-12-4 effort and finish ninth overall. 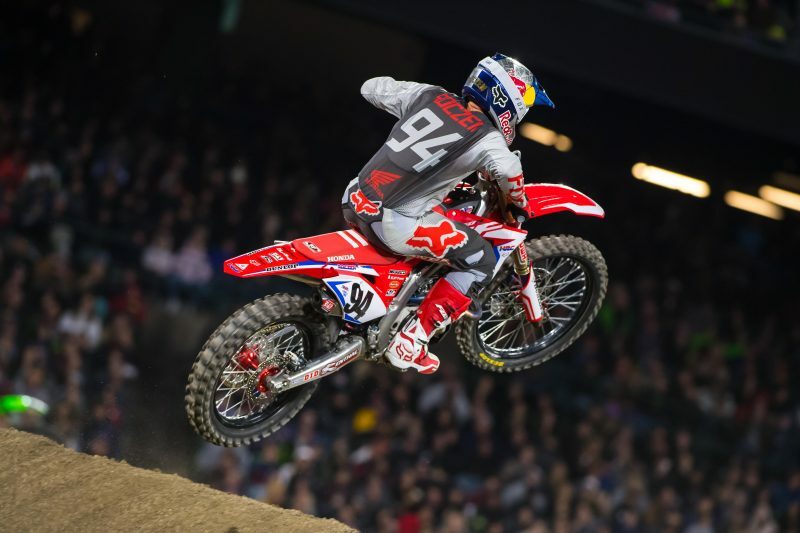 Ken Roczen conquered his first time back at Anaheim 2 after his season-ending injury last year. 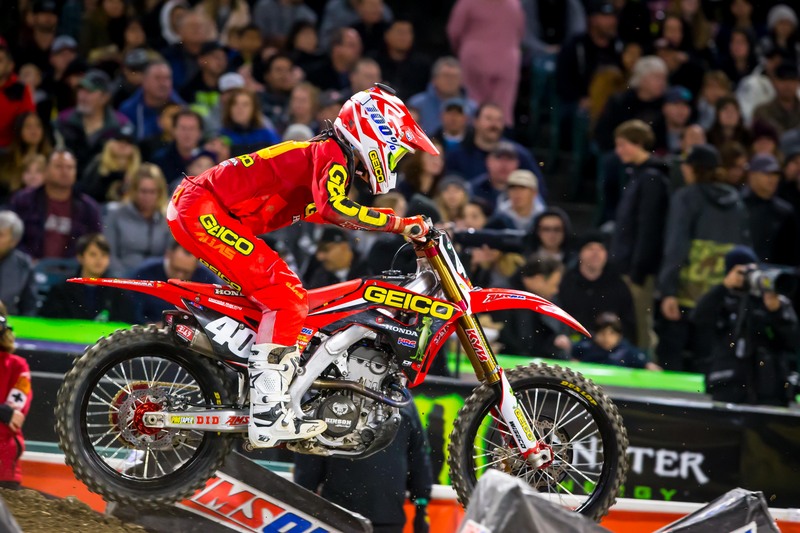 In 250SX Class action, Wiseco-sponsored GEICO Honda riders Christian Craig and Chase Sexton showed the way for their factory-supported Honda effort. Craig’s 2-3-5 effort translated into a third-place overall finish, and his first podium of the season. We caught up with Dan Betley, Team Manager of GEICO Honda, to talk a little bit about bike development on the new 2018 CRF250R. While Sexton finished further down the final results sheet than he hoped, the 250SX Class Rookie of the Year contender showcased his Wiseco power by winning the holeshot in the second and third main events and riding his 15-8-3 effort to an eighth-place overall finish. Chase Sexton put in yet another impressive performance at what was only his third career Supercross race. Christian Craig showed a lot of consistency and aggressiveness at Anaheim 2. 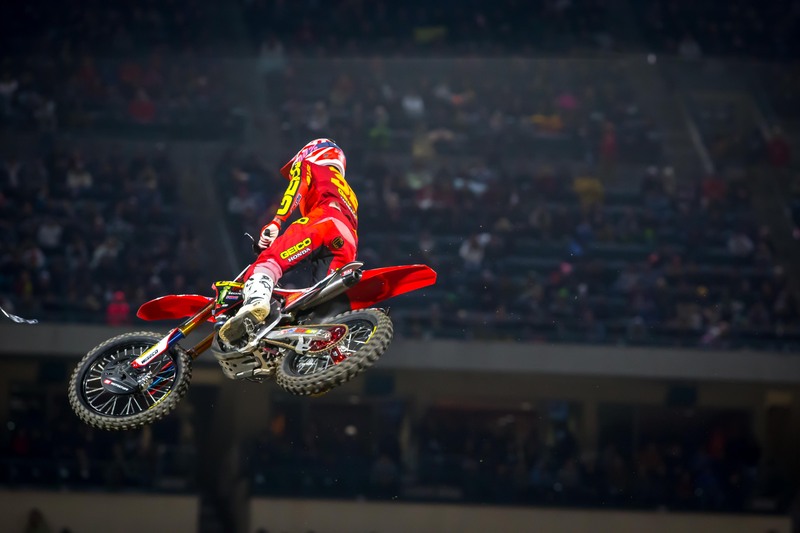 University of Phoenix Stadium plays host this weekend when Monster Energy AMA Supercross visits the home of the NFL’s Arizona Cardinals. Round 4 of the 2018 supercross championship will be televised live on FS1 Saturday, Jan. 27 beginning at 8 p.m. Eastern Standard Time, 5 p.m. Pacific.